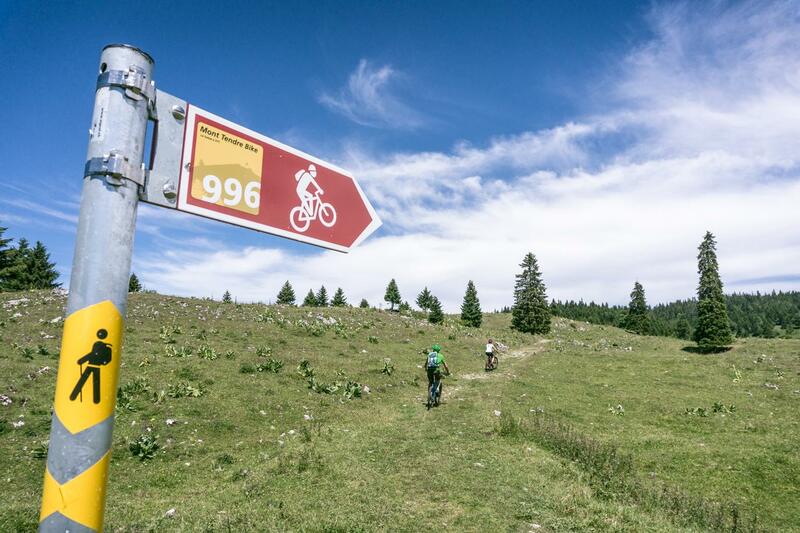 The Mont Tendre Bike route is the ideal way to discover everything the Vallée de Joux has to offer. 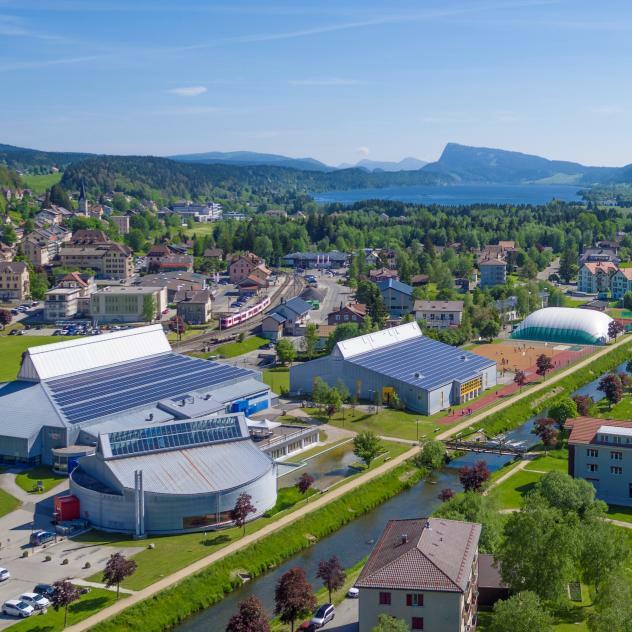 This circular route takes you through the foothills of Mont Tendre, the highest peak of the Swiss Jura, (1,680m), and returns along the south bank of Lac de Joux. Please note, it is not allowed to ride this trail before 1 july. Starting from the car park at the Centre Sportif Vallée de Joux in Le Sentier, you follow the path along the banks of the river Orbe until you get to the secondary road to the village of L'Orient which you follow for a few hundred metres. From here, you head right, onto the most challenging part of the route, a climb of 3km 600m. You'll quickly be rewarded by breathtaking views of Lac de Joux, until you arrive at the beautiful alpine pastures. Then, through forest clearings and along single track gravel trails, you take Jura Bike No. 3 for 1,3 km until you get to the Chalet des Grandes Chaumilles. From here, continue in the direction of Chalet des Combes passing the Bois Carré mountain hut; ideal for a picnic stop! You then follow a straight route of about 5km through the meadows to the foot of Mont Tendre! Once you reach the high point of the trail (1,507m), you'll find the Bon accueil hut converted from an old bus! From the Chalet du Mazel, it's an easy ride to Pré de l'Haut where you have a little climb to the Les Croisettes alpine cafe. The hardest part is over! From here, a fantastic single trail takes you back down to the village of L'Abbaye and the lake shore. You return via Groinroux along the lane overlooking the local road. As you enter Bioux, the trail heads down to the lakeside, passing the Ferme campsite, then the Altitude 1004 water sports centre. The last 2km are along the local road (the boardwalks along the reed beds are for pedestrians only), then you rejoin the initial path along the river bank. It is not allowed to ride this trail before 1 July. The Vallée de Joux with its high mountain forests is home to many grouse, attracted by the remote mixed forests of this area. Being disturbed by human activity, during the winter and spring, is a significant aggravating factor in the falling numbers of this bird.